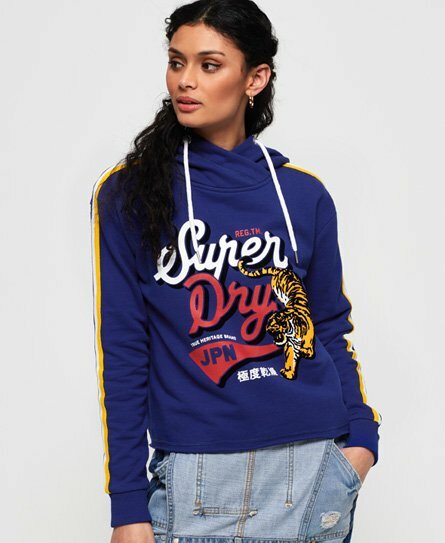 Superdry women's True Japan Tiger college crop hoodie. This crop hoodie features a cross over drawstring hood and ribbed cuffs. This hoodie also features a large Superdry graphic across the chest and elastic stripe detailing down the sleeves. Finished with a Superdry logo tab on the side seam.